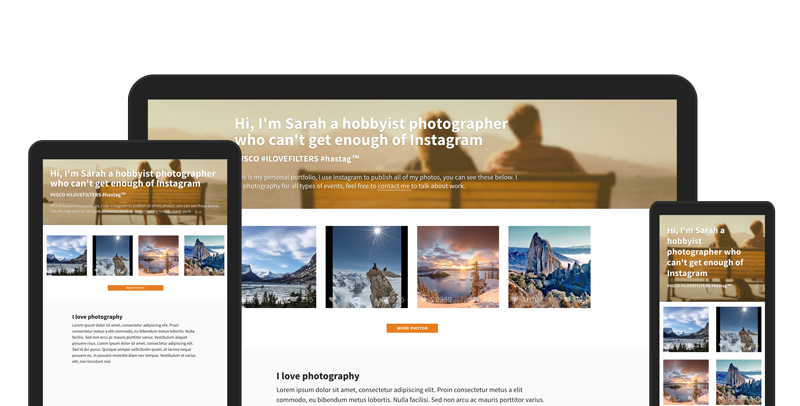 Beautiful responsive HTML themes for Entrepreneurs, Startups and Creatives. Lens works to leverage great photography creating an experience for the visitor. 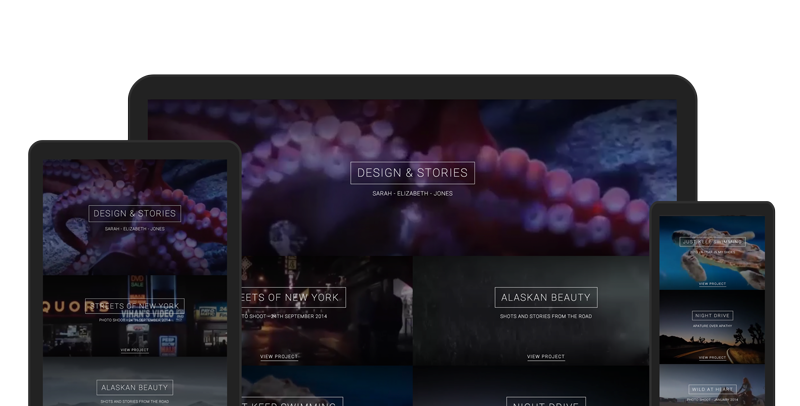 The Ghost platform excels at minimalist sites, Lens adds just enough to give your site a unique feel without going overboard. 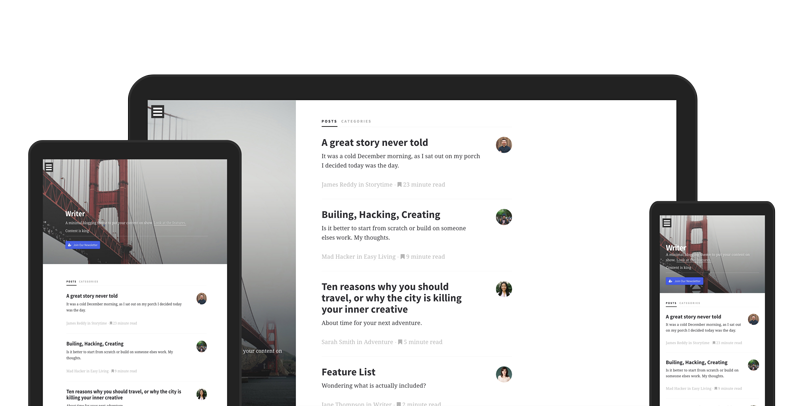 With a focus on minimal design and typography writer delivers a quality user experience. Built for blogging or long form writing content looks clean and readable on any device. A landing page built to showcase your latest app or product. 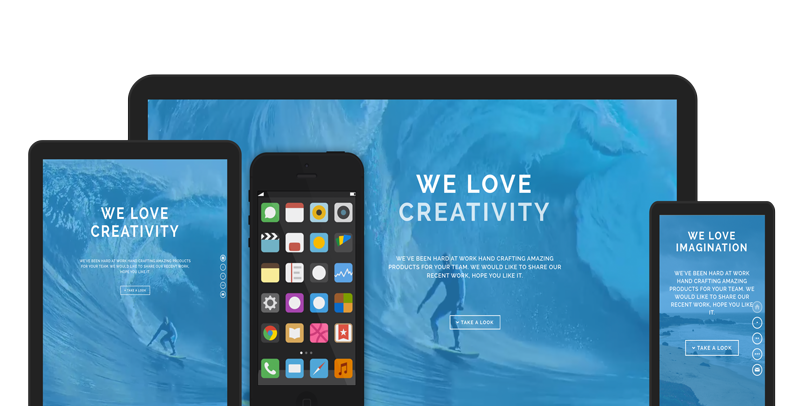 Beautiful HTML5 video frames the website with sliding full height panes popularised by the iPhone 5s release site. Multiple video backgrounds are used to highlight your latest creative work. A unique design that sets your content apart from the crowd. 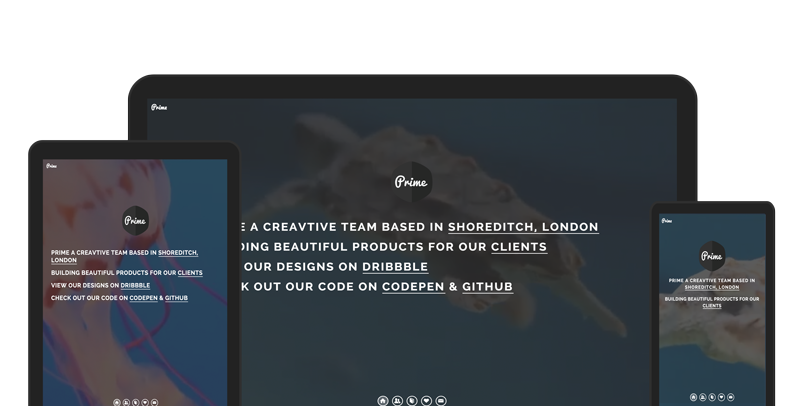 Prime uses full height panes popularised by the iPhone 5s release site to guide users through your creative work. 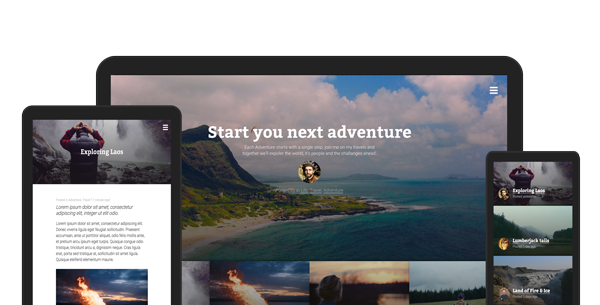 Perfect for startups, freelancers or creatives looking to showcase their work. A beautifully simple way to showcase your Instagram/photography feed. Integrated with the Instagram API to show any Instagram feed. With animated sections and smooth scrolling. An animated experience wrapped up into a simple design to showcase any and all creative projects. Great for info product launches.